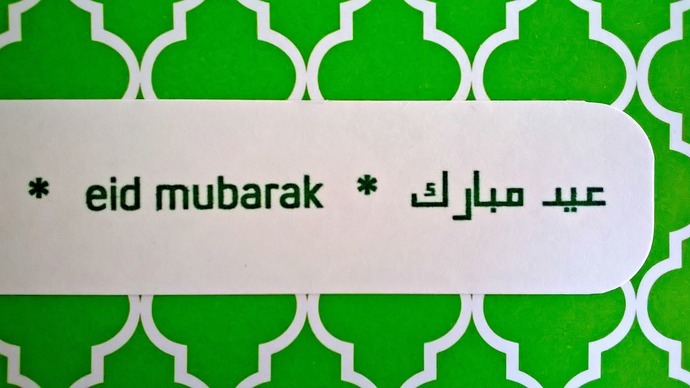 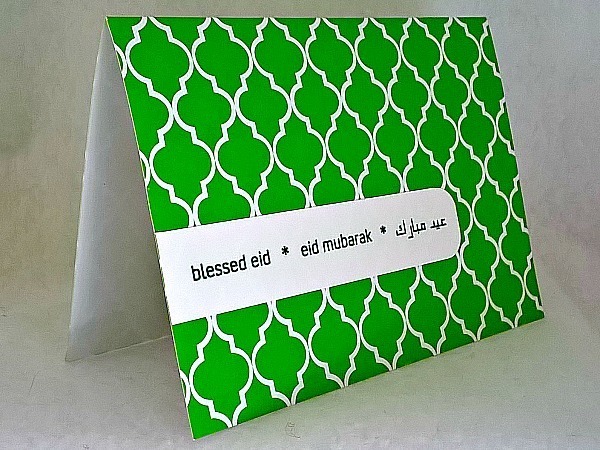 This green Arabesque blessed Eid handmade card is written in both Arabic and English. 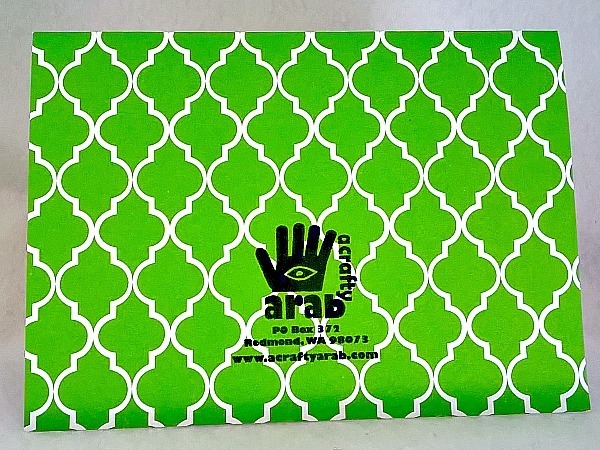 It measures 4 1/4 x 5 1/2 and is on green cardstock and comes with a white envelope in a protective plastic sleeve. 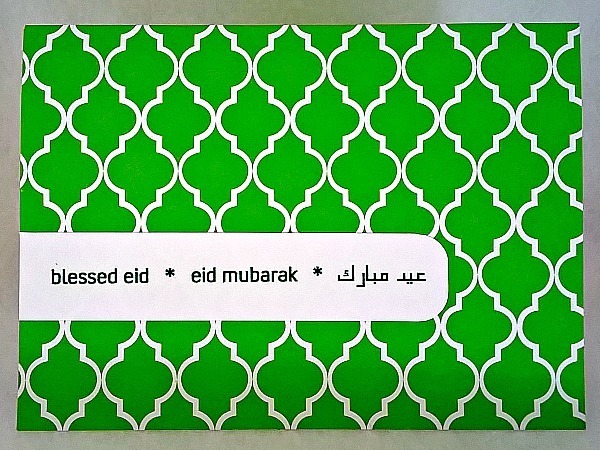 This card is a great gift for so many people - chilren, men, relatives, co-workers. 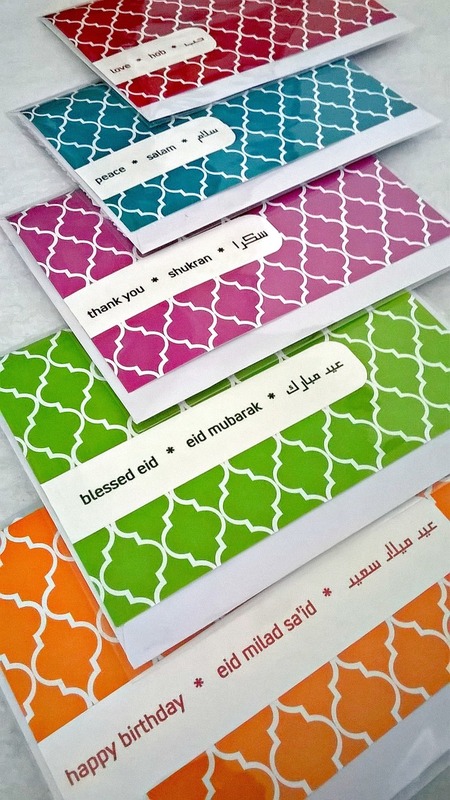 The bold geometric design will be perfect for someone who needs blessings sent their way, and then can learn how to pronounce Eid Mubarak in Arabic as a bonus!